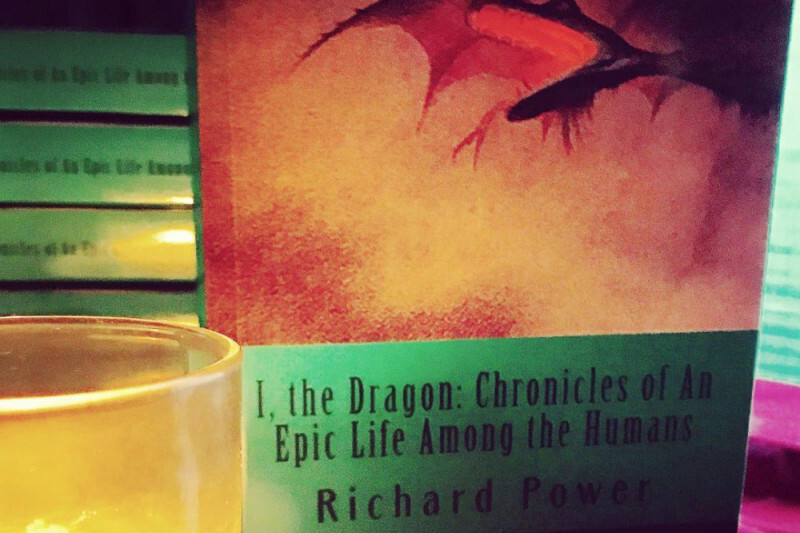 Part autobiographical novel, part world history, "I, the Dragon: Chronicles of An Epic Life Among the Humans" speaks to the existential crisis of our age and offers insights on the way forward for both the individual and the collective. "I, the Dragon" tells the story of a child who survives profound sexual and psychological abuse and how that child becomes a planet-circumambulating expert in the shadow realms of espionage, cyber crime and terror. 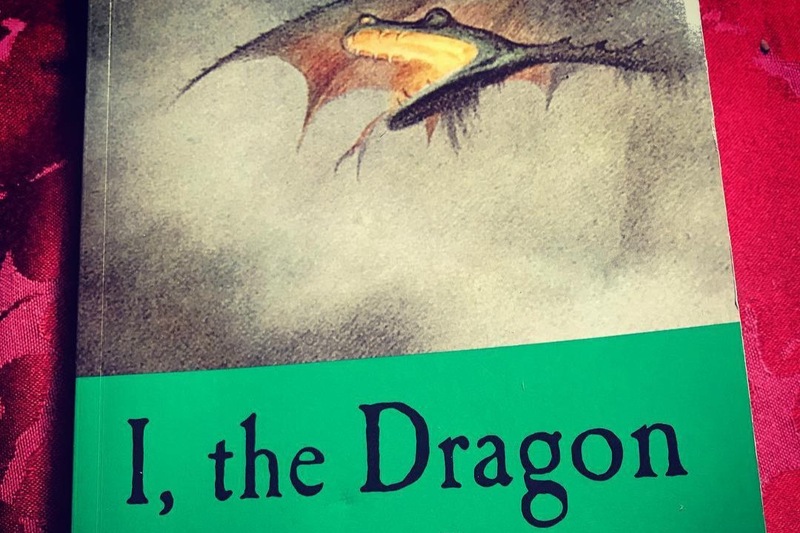 Drawing on the medicine of the Seven Beasts, the shadow of the Dark Goddess and the hidden treasures of the Mysterium itself, "I, the Dragon" tells the story of a life-long journey into the wilderness of healing and revelation. I, the Dragon is available exclusively via this Go Fund Me campaign. It is not currently available on Amazon or any other commercial platform. The funds raised will be used to produce audio books of both "I, the Dragon" and "Wyrds of Power" and to promote upcoming events and workshops. To receive the black and white edition, just go to "Donate Now" make a $55 contribution, and you will receive a signed copy via USPS. For the full color limited edition, choose from one of the five options provided to the right of this page. If you choose to participate using Option #2 (a $155 contribution) in addition to a signed and numbered copy of "I, the Dragon" you also received a signed copy of "Wyrds of Power: New Language for A New Reality." Taken together these two books mark the culmination of a nine-year run of creative endeavor. They are my two most important works. On its own, "Wyrds of Power" constitutes a significant contribution to the emerging global wisdom tradition of the 21st Century. Several overarching themes frame this dispatch from the Ancient Future: the Evolution of Yoga and the Yoga of Evolution, the Ascendancy of the Feminine in Psyche (Human and Divine), Gaian Poetics, i.e., our intimate, creative relationship with the vast planetary intelligence within which we live, move and have our being, Altruism and Sustainability as Spiritual (and Existential) Imperatives and Path of an Evolutionary, i.e., a call to the great shift to a green civilization required of us if our species is to survive. Your participation, at whatever level, from $55.00 to $1,000 would be of great help in my work. The funds raised will be used to produce audio books of both "I, the Dragon" and "Wyrds of Power," and to promote upcoming events and workshops. 28:52-31:01 "I Shouldn't Even Be Here ..."
Proceeds from this campaign will fund audio books of both "I, the Dragon" and "Wyrds of Power: New Language for A New Reality" (my most important works) and also to promote public events and workshops throughout 2018.